At the recent annual general meeting of the RMT, the rail union, the question of affiliation to the Labour Party was discussed, after being rejected last year. At a packed conference fringe meeting John McDonnell, the shadow Labour chancellor, made a personal appeal for the union to “come home” to Labour. He told the meeting that he “understood the position members were put in” when they opted to back left-of-Labour candidates during the New Labour years, which led to the RMT being expelled from the Labour Party. Then he told delegates: “But to be honest, times have changed. We want to walk into government and we want to hit the deck running. You won’t be on the inside track with that unless you’re affiliated.” He added that establishment figures and big business would “do everything they can to prevent us implementing the manifesto, so that’s why we need you there.” This appeal was warmly greeted by those present. Clearly things have changed with the election of Jeremy Corbyn – the most left-wing leader in Labour’s history – and the tremendous advances Labour has made in the general election on the most left-wing manifesto since the war. 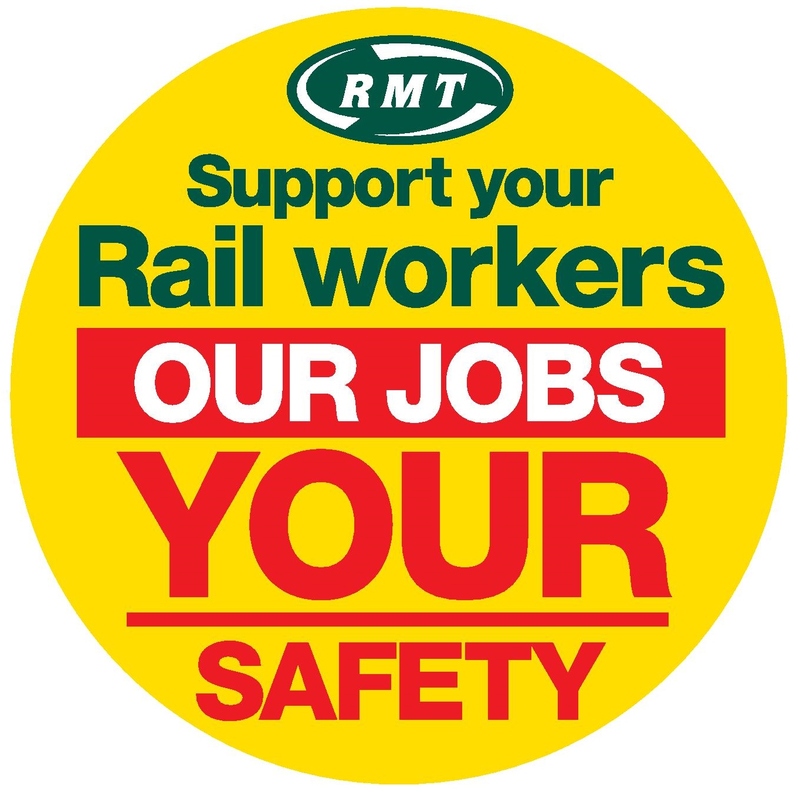 Last year the RMT decided not to re-affiliate and to stick with the Trade Union and Socialist Coalition (TUSC), a platform backed by the Socialist Party and a number of union activists, which had stood candidates against Labour. There were some present who argued that the union was better placed without a formal affiliation to Labour. However, many present also honestly recognised their mistake in believing that the Labour Party could never be changed. Corbyn was proof that this was not the case. This is a frank and welcome recognition of the changed situation. "The RMT should be centre stage of the most progressive change in the Labour Party since we helped form it,” said Brendan Kelly from Bristol. "The RMT brings something special to the table because of our history and our industrial militancy." As a result of Corbyn’s victory, leading activists of the RMT have enthusiastically joined the Labour Party, such as Steve Hedley, the Senior Assistant General Secretary, who once briefly joined the Socialist Party, but soon left. In spite of this, there is still some opposition to re-affiliation in the union, mainly from those who believe the union should not be involved in politics. But what is really scandalous is the attitude of the Socialist Party, whose supporters in the union, despite the facts, were finding it hard to swallow support for Labour after decades of denouncing the party as a capitalist party, no different from the Tories. The behaviour of the Socialist Party in this discussion on reaffiliation is the lamentable but logical conclusion of its past mistakes and should provide all honest SP members with food for thought. While their motion to conference offered "support" to Corbyn and McDonnell in "their struggle", it went on to place "conditions" on any affiliation of the RMT to Labour. These “conditions” stipulated that the union could only affiliate if all expelled socialists are readmitted to the party and that Labour must change its internal structures to give the trade unions more power. Only if these criteria were met in full should the union consider re-affiliation! But this is simply playing games, presenting an ultimatum while knowing full well that such demands will not be met under present conditions. Instead, they call in their emergency motion for the union to "maintain our independent political strategy". And what does this mean? Their motion goes on to urge the RMT to "maintain our participation in the Trade Union and Socialist Coalition (TUSC)". So this is what lies behind the motion, namely the SP’s fear that the RMT will ditch TUSC and cut off its funds! With many union members fed up with TUSC, this remains a real possibility. It is all about the SP placing its own narrow interests above the general interests of the working class movement as a whole. TUSC, at the behest of the Socialist Party, stood candidates against Labour in this year’s May council elections "to help Jeremy Corbyn"! How standing against Labour helps Corbyn, the Labour leader, is a complete mystery. With the derisory votes they were able to muster, under pressure, they withdrew from standing against Labour in the general election. But they have refused to abandon TUSC altogether and reserve the right to stand against the Labour Party, whilst calling on Labour to allow them to affiliate as a group to the party. This is crass stupidity. How can you expect the Labour Party to let you back in if you openly state you will stand candidates against the party in the future? Their whole approach is the height of sectarianism, while also shamefully attempting to appeal to those who want to keep the union out of politics. It is like an onlooker who sees a fight on the other side of the road between strikers and scabs. The SP, standing on the sidelines, argues for passing a message of support for the strikers, offering them plenty of advice on what they should be doing. But as for joining the strike, well, the SP proposes that after the strikers have won the battle, they would then consider joining them! The fact remains that for years the SP had been calling for all Labour affiliated unions to disaffiliate from the “capitalist” party. If they had had their way, Jeremy Corbyn would never have been elected leader of the Labour Party. Thankfully, they were a tiny voice in the wilderness. Fortunately, the SP motion fell when a resolution from the union's EC was passed which committed the RMT to undertake a consultation with all the branches and regions about affiliating to the Labour Party and to convene a special general meeting to decide the question. We hope that the Socialist Party members in the union will do the honourable thing and drop their infantile, sectarian "conditions" and objections to Labour affiliation and unite with the left as a whole. What is required, following the example of the FBU, is to bring the RMT back, taking its place inside the Labour Party fighting for genuine socialist policies.